Philosophical Investigations: What Are ‘Facts’? What are 'facts'? The ages-long history of deception and sleights of hand and mind — including propaganda and political and psychological legerdemain — demonstrates just one of the many applications of false facts. But similar presentations of falsities meant to deceive, sow discord, or distract have been even more rife today, via the handiness and global ubiquity of the Internet. An enabler is the too-frequent lack of judicious curation and vetting of facts. And, in the process of democratizing access to facts, self-serving individuals may take advantage of those consumers of information who are ill-equipped or disinclined (unmotivated) to discern whether or not content is true. Spurious facts dot the Internet landscape, steering beliefs, driving confirmation bias, and conjuring tangible outcomes such as voting decisions. Interpretations of facts become all the more confounding in political arenas, where interpretations (the understanding) of facts among differently minded politicians becomes muddled, and ‘what’s actually the case’ remains opaque. And yet surely it is the total anthology of facts — meaning things (their properties), concepts, and their interrelationships — that composes reality. Facts have multiple dimensions, including what one knows (epistemological aspects), how one semantically describes what’s known (linguistic aspects), and what meaning and purpose one attributes to what’s known (metaphysical aspects). Facts are known on a sliding scale of certainty. 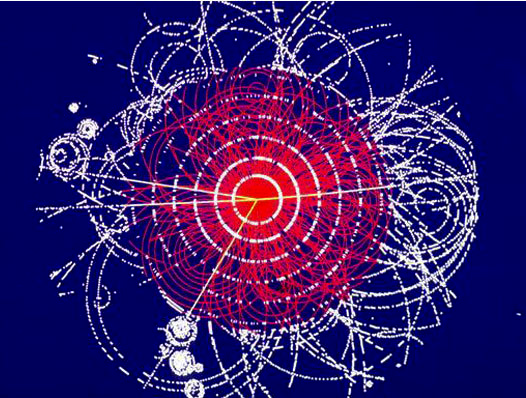 An example that seems compelling to me comes from just a few years ago, when scientists announced that they had confirmed the existence of the Higgs boson, whose field generates mass through its interaction with other particles. 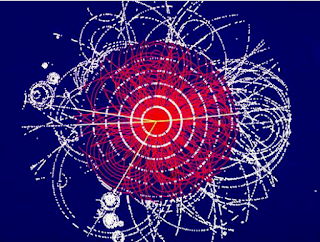 The Higgs’s existence had been postulated earlier in mathematical terms, but empirical evidence was tantalizingly sought over a few decades. The ultimate confirmation was given a certainty of ‘five sigma’: that there was less than 1 chance in 3.5 million that what was detected was instead a random fluctuation. Impressive enough from an empirical standpoint to conclude discovery (a fact), yet still short of absolute certainty. With resort to empiricism, there is no case where some measure of doubt (of a counterfactual), no matter how infinitesimally small, is excluded. Mathematics, meantime, provides an even higher level of certainty (rigor of method and of results) in applying facts to describe reality: Newtonian, Einsteinian, quantum theoretical, and other models of scientific realism. Indeed, mathematics, in its precise syntax, universal vocabulary, and singular purpose, is sometimes referred to as the language of reality. Indeed, as opposed to the world’s many natural languages (whose known shortcomings limit understanding), mathematics is the best, and sometimes the only, language for describing select facts of science (mathematical Platonism) — whereby mathematics is less invented than it is discovered as a special case of realism. Facts are also contingent. Consider another example from science: Immediately following the singularity of the Big Bang, an inflationary period occurred (lasting a tiny fraction of a second). During that inflationary period, the universe — that is, the edges of space-time (not the things within space-time) — expanded faster than the speed of light, resulting in the first step toward the cosmos’s eventual lumpiness, in the form of galaxies, stars, planets. The laws — that is, the facts — of physics were different during the inflation than what scientists are familiar with today — today’s laws of physics breaking down as one looks back closer and closer to the singularity. In this cosmological paradigm, facts are contingent on the peculiar circumstances of the inflationary epoch. This realization points broadly to something capable of being a fact even if we don’t fully understand it. The sliding scale of certainty and facts’ contingency apply all the more acutely when venturing into other fields. Specifically, the recording of historical events, personages, and ideas, no matter the scholarly intent, often contain biases — judgments, symbols, interpretations — brought to the page by those historians whose contemporaneous accounts may be tailored to self-serving purposes, tilting facts and analyses. In natural course, follow-on historians inadvertently adopt those original biases while not uncommonly folding in their own. Add to this mix the dynamic, complex, and unpredictable (chaotic) nature of human affairs, and the result is all the more shambolic. The accretion of biases over the decades, centuries, and millennia doesn’t of course change reality as such— what happened historically has an underlying matter-of-factness, even if it lingers between hard and impossible to tease out. But the accretion does distort (and on occasion even falsify) what’s understood. This latter point suggests that what’s a fact and what’s true might either intersect or diverge; nothing excludes either possibility. That is, facts may be true (describe reality) or false (don’t describe reality), depending on their content. (Fairies don’t exist in physical form — in that sense, are false — but do exist nonetheless, legendarily woven into elaborate cultural lore — and in that sense, are true.) What’s true or false will always necessitate the presence of facts, to aid determinations about truth-values. Whereas facts simply stand out there: entirely indifferent to what’s true or false, or what’s believed or known, or what’s formally proven, or what’s wanted and sought after, or what’s observable. That is, absent litmus tests of verifiability. In this sense, given that facts don’t necessarily have to be about something that exists, ‘facts’ and ‘statements’ serve interchangeably. Facts’ contingency also hinges in some measured, relativistic way on culture. Not as a universally normative standard for all facts or for all that’s true, of course, but in ways that matter and give shared purpose to citizens of a particular society. Acknowledged facts as to core values — good versus evil, spirituality, integrity, humanitarianism, honesty, trustworthiness, love, environmental stewardship, fairness, justice, and so forth — often become rooted in society. Accordingly, not everyone’s facts are everyone else’s: facts are shaped and shaded both by society and by the individual. The result is the culture-specific normalising of values — what one ‘ought’ to do, ideally. As such, there is no fact-value dilemma. In this vein, values don’t have to be objective to be factual — foundational beliefs, for example, suffice. Facts related to moral realism, unlike scientific and mathematical realism, have to be invented; they’re not discoverable as already-existing phenomena. Facts are indispensable to describing reality, in both its idealistic (abstract) and realistic (physical) forms. There is no single, exclusive way to define facts; rationalism, empiricism, and idealism all pertain. Yet subsets of facts, and their multifaceted relationships that intricately bear on each other’s truth or falsity, enable knowledge and meaning (purpose) to emerge — an understanding, however imperfect, of slices of abstract and physical reality that our minds piece together as a mosaic. In short, the complete anthology of facts relates to all possible forms of reality, ranging the breadth of possibilities, from figments to suppositions to the verifiable phenomenal world. Thank you, Keith, for this thoughtful essay. I suppose in a way you are returning to the philosophical evergreen of the distinction between 'truth' and 'falsity', but casting it as a comparison of 'good facts' and dodgy ones. The good ones you seem to offer as those of maths (which have been objected to somettimes as being merely tautologies) and science - which I think has long been shown to be a very poor standard-bearer for truth, as so much of what it says today will be withdrawn, or at least amended, tomorrow. So how about 'va;ues' instead being the source of truth and the eternal reference? Aren't these even more than 'facts' indispensible to our making sense of the world around us? You’ve raised an interesting question, Martin, regarding what’s more important to our understanding of reality: facts or values. That is, are facts or values the more certified ‘standard-bearer of truth’? Yet, perhaps life doesn’t confront us with such a binary, either-or choice. Rather, it might be claimed that both benchmarks, in their different ways, are crucial to ‘making sense of the world around us’. That said, there are reasons to believe that facts are the more ‘indispensible’ of the two indices. Why? Well, I suggest that there’s one fundamentally, ontologically important distinction between facts and values that can’t be skirted: that is, values can’t exist in the absence of facts, whereas facts can exist in the absence of values. To form values, one must have knowledge — the latter, along with context, animating the very ideals, beliefs, and norms that compose values. Lastly, as to ‘so much of what [science] says today will be withdrawn, or at least amended, tomorrow’, I propose that’s true to varying degrees of every intellectual endeavor. Including, even, the formation of values. I suggest that’s how humankind got to where it is, progressing nonlinearly on all fronts, vitally building understanding and reinventing along the way. What you point out, Martin, about mathematics being dubbed by some folks as 'merely tautologies’ calls up an interesting inquiry. I tend to come down on the side that it’s not. But let me take just a cursory run, from my point of view, as to mathematical theory being tautological — that is, necessarily true. Certainly, there is an aspect to equations that focuses on the logical form or structure of mathematics. To that extent — that is, confining one’s view to mathematical reasoning’s logical formulation — mathematics might indeed be viewed as tautological. And, yes, mathematical reasoning must adhere to logic — as far as that conformance goes, anyway. However, that’s not the whole picture as to how mathematics leads to insights and descriptions; logical structure isn’t the be-all of mathematical theory (anymore than it is of natural languages), and may well not even be primary. Importantly, mathematics has at least another, arguably more crucial aspect to it, namely content — the meaning of equations’ variables, or assumptions, about features of reality. Which harkens back to the essay’s theme, ‘facts’. Fundamentally, the language of mathematics, to be uncommonly effective in describing (mathematizing) the world, critically depends on the soundness (truth) of its assumptions, not just on whether the assumptions relate to one another according to the rules of symbolic logic. I propose that to that widened extent — which, I think, gets to the heart of mathematics’ Wagnerian ‘unreasonable effectiveness’ — mathematics isn’t tautological. Well, look, Keith, let's just take the very simple case of 2+2=4... It does so because we define the number two a certain way, we define + and = a certain way, and yes, we define the number 4 a certain way. Nonetheless, there is a sense in which we 'discover' we have four things, say when we count up how many comments a Pi essay has received, two on one day, two the next..! So.. maybe maths is both tautological and revealing 'new information'. Both green all over and red all over...? Aristotle considered that we end up with fallacy through a) 'stupidity', or b) 'whenever some question is left out'. Facts seem a lot like that to me. They tend to leave things out from our thinking, and that is what places them on a sliding scale rather than making them self-sufficient or complete in themselves. By way of definition first. Things may be involved in what we call truth conditions, which means that they may be inserted into statements which can be affirmed or denied. When we affirm such statements, we call them ‘facts’. For instance, the Scots keep unicorns. I know this is a fact because so it is said. To be precise, it is legendary. But that leaves out from my thinking that ‘what is said’ – even that which is legendary – may not be true. Or I might take a scientific example. Light travels in a straight line. I know that this is a fact, because Newton said it was – on the basis of some painstaking experiments. But that leaves out of my thinking the curvature of space-time – and the limitations that experiments have. Okay, nice examples, but so that leads me to wonder, what is the status of the 'things left out of our thinking'? “Aristotle considered that we end up with fallacy . . . ‘whenever some question is left out’.” To the (debatable) extent Aristotle was right, the notion that one ends up with ‘fallacy’ when some question is left out would seem to apply to ‘values’, too, not just ‘facts’. Hmm, yes. An interesting thing is that this applies to both as you say. What therefore is the difference between the fact and value, if any? My first thought is that their status cannot be absolute. They will merely be the things nearest to hand -- the things we first realise we left out. Once we include them, we shall have left something else out. It sounds a bit like the provablility problem 'all over again' - it's the philosophers' recurring nightmare! One concern, Thomas, is with the notion ‘fallacy’. I believe ‘fallacy’ overstates what’s really going on as to ‘some question is left out’; the word has an unfortunately existentially damning connotation. If every fact (theory and hypothesis) is thereby a fallacy, and if every value (opinion) is a fallacy, where does that leave knowledge? Is all knowledge a fallacy? And if all knowledge is a fallacy, is the statement that ‘all knowledge is a fallacy’ a fallacy? Unhelpfully spiraling down indefinitely. Perhaps, however, there’s a simple (simplistic?) way out of the conundrum. That is, for us to reexamine at least one premise. Most directly, I don’t see that ‘some question is left out’ actually rises to the level of a ‘fallacy’. Rather, knowledge (understanding) is acquired through a process of what I’d call ‘accretion’ — building upon what’s gone before: earlier hypotheses, theories, facts, opinions. Acquiring an ever-closer understanding of reality. Accordingly, my preference in place of ‘fallacy’ would be ‘incompleteness’. That is, an understanding of reality that remains incomplete, but serves as the foundation for what comes next through accretion: cycling through discovery, invention, verifiability. A layering-on model of the acquisition of knowledge — facts and values alike. This (inelegant) model of ‘incompleteness’, I suggest, might accommodate ‘some question is left out’, without resort to fallacy. Thank you Keith. There is quite some disagreement today as to what fallacy is, which perhaps you are thinking of here. I was relying on Aristotle's definition, which personally I like. The big difference today is that our understanding of fallacy is far more technical. Aristotle's definition was broad. Some would say today, for example, that fallacy equates with flaws in syllogistic reasoning. I think that we are in a sense damned if we do and damned if we don't -- do mathematics. The more we use it to focus our attentions, the more we lose the big picture. It does not seem possible for us to do both. We do try, in all kinds of ways, but mathematics applied simply has to get into detail that doesn't know the wider (potential) consequences. Facts are not and cannot be absolute because there will always be something that is left out. Some of those things left are are known, others are unknown but will become known in the future and some will never be known. Although facts are never absolute some are still more (or less) objectively true given our current knowledge of reality and our current values. Keith described on Jan 26 that if one says that all knowledge is a fallacy and subject to change that one goes down a spiral rabbit hole because that statement too may be a fallacy. However, I see the statement that all knowledge is a fallacy as a final statement and not going into a spiral because the statement is only relatively true and no one would say it is absolutely true.